This wealth management expert has five simple tips that could help you save $10,000 by the end of the year — and they really couldn't be easier. Having $800 a month going into savings or an investment sounds pretty good right? Before you know it you could be investing almost $10,000 a year, and setting yourself up for an easier life in the future. Sounds good you say, but where are you coming up with a spare $800? Well, it may be easier than you think. Here are five ways to save $200 bucks a week. Some of these may also have the added bonus of helping you lose weight! Now, what's not to love about that? Not what you would normally put your hand up to do, I know, but there is money to be found here. If you are not locked into a contract for electricity or gas, ring and ask them what are the best options they have available. I did this recently and got more than $800 back from my electricity provider, simply by signing up to direct debit my bills, rather than BPAY. This kind of savings can be an easy win in reaching your goal of saving $200 a week. There are so many celebrity chefs out there, find one you fancy and start following them on social media like Instagram and Facebook and sign up for their newsletters. If you follow someone you like, you will most likely become inspired to start trying some of their delicious recipes. And cooking yourself means eating at home - which means saving big bucks. Eating out is one of the biggest expenses for many Australians. When we are time poor and wanting an instant reward, eating out becomes an easy option. But by becoming a fan, and being inspired by home cooking, you can start to see savings, both on your money, and your waistline. Unless you're into deep fry, you will usually find most home cooking to be much friendlier to your waistline than the calories in eating out. I'm following Nigella on Instagram at the moment, and I have to say the pics of her home made cooking are inspiring me! You might not have noticed, but the difference between weekend and midweek fuel is often well over 20 cents. So it can cost between $12 and $15 more to fill up. Add this up once a week, and you will find the savings per month to of almost $50 or more - a nice little addition to your savings challenge. No, I am not working for them! But I have found that having nice coffee in my own home has meant I buy less coffee out. No matter the brand, buying good quality coffee that feels cafe will save you money in the long term. Telling me I can't have my coffee to save money is like telling me to stick a pin in my eye for fun. Not going to happen. But give me a good quality coffee as I am walking out the door, in a neat little take away cup to make it feel the part, and I am a happy camper. 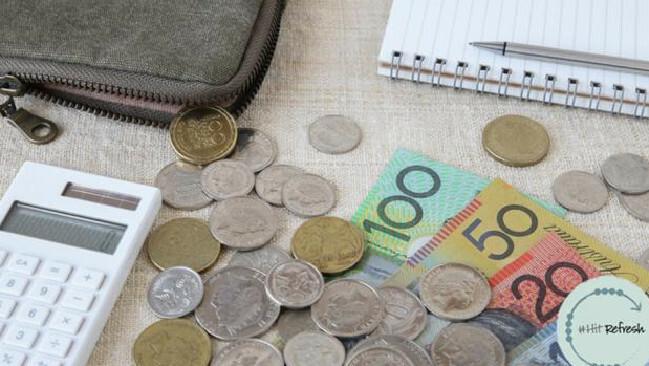 Doing this could tip another $30 to $50 bucks a week into your savings plan. Whether it be an entree or dessert, sharing with a friend is a great way of shaving down the bill. Here's a tip though - when I share with my husband, I always make sure I cut it down the middle before each of us start - he eats faster than me so this savings strategy could put me at a disadvantage if I didn't! By being organised with BYO alcohol wherever possible, and sharing plates that are often too big anyway, you can save money every week and lose weight - portion sizes are a huge part of why we put on weight, no matter whether it's mains or desserts. We even refill plastic water bottles in our house and refrigerate them. When we go out, we take them with us, saving on buying waters which can be really expensive, depending on where you are buying. If you get into the spirit of this challenge, and start thinking of other ways you can save money, you can see it's actually kind of fun. It's not hard; it just takes thought and planning. But the end result is your future financial security. And that's definitely worth it. Vanessa Stoykov is the Founder of financial education business No More Practice Education and the CEO of evolution media group, and makes TV shows and education about growing your wealth.